Dragon DR119 Luft is a Full Rim frame for Men, which is made of Grilamid. Grilamid is a hypoallergenic thermoplastic. It is typically molded and is flexible, extremely durable, lightweight, and resists aging. It is 20% lighter than Zyl and can be made in a wide variety of colors. This model features the following temple detail: Dragon logo on temple. This frame features stop hinges, which protect the frame’s lenses from getting scratched by preventing the temple from folding down too far and making contact with the lenses. 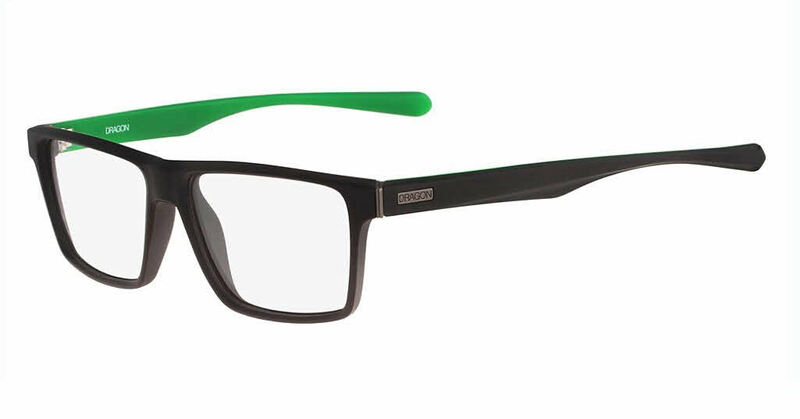 Dragon DR119 Luft Eyeglasses come with a cleaning cloth and protective carrying case.